Notes: (i) Suitable candidate will be offered a complementary round trip ticket to the US for meet up after telephone or video screening meeting; (ii) Qualified Candidate for the free round trip ticket to the US will be decided at the sole and absolute discretion of this client. Seeking a sincere, kind, warm, condsiderate, thoughtful, affectionate, energetic and independent single Chinese lady, from 26-36 years old, who is easy to communicate with. Our client was born and raised in the US, never married, in his mid 30’s. He is currently managing his family properties and currency trading. He is an introverted man who can be slow to warm up to new people. He likes to learn everything about a person he is dating, and he tries to be as open and communicative as possible. He is a loyal and reliable man who is looking for someone who will bring a social life to his life. He has plenty to offer a relationship much more important than first-date chitchat. He speaks native English and little Cantonese. He enjoys both indoor and outdoor activities, travel, and try new things but he dislikes clubbing, bars or drining. He is planning to relocate to Hong Kong soon. He is looking for a Hong Kong lady who shows interest in getting to know him and able to spend time with each other. Hobbies include hiking, bowling, badminton, swimming, travelling, cooking, outdoors, sport activities, etc. If you feel this may be a suitable person to you and vice versa, please register today at http://bit.ly/2luR09z for a personal interview with us soon! Seeking a feminine, classy, literate, unpretentious, slim beauty, warm and independent single or divorced Chinese or Asian lady, from 30+ to 40+ years old, who are able to maintain mutual respect. Our client was born and raised in Hong Kong, in his early 50’s. He obtains his Master’s Degree and is divorced with one adult child but lives separately. He has sold out his successful China ecommerce business a few years ago. Currently, he was able to semi-retire but is still running some other businesses. After achieving his business goals, he enjoys his comfortable life but soon found there was something missing in his life. He realized that he need to find the significant other to help him fill that hole, and to complete his life. He has a decent and gentle look and is physically fit and emotionally stable, speaks Cantonese, English and Putonghua. Hobbies include hiking, bowling, badminton, swimming, architecture, history, travelling, etc. If you feel this may be a suitable person to you and vice versa, please register at http://bit.ly/2luR09z or send your personal details by whatsapp to 5408-2087 or 6960-0003 today! We are seeking a rational and intelligent never-married Chinese lady with age below 35 years old, between 5 ft 3 inches to 5 ft 5 inches. Female Engineer is greatly preferable. 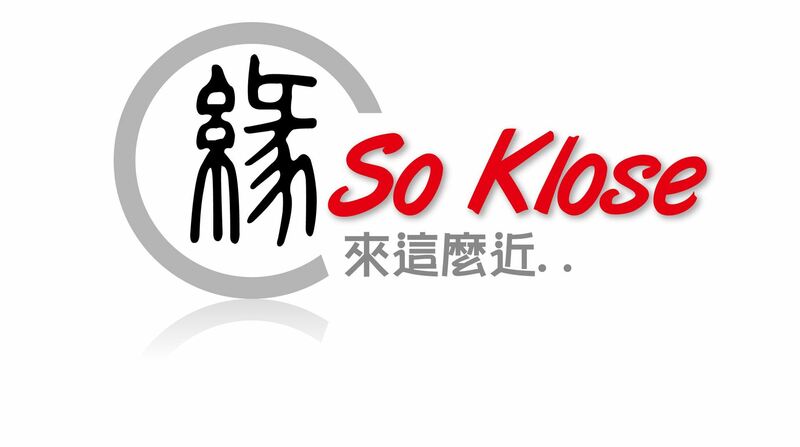 Our client was born in Guangzhou and received kindergarden and elementary education in Hong Kong. He immigrated to the US with his family when he was eight years old. He obtains the Doctor of Medicine degree in the United States and speaks native English and conversational Cantonese. As his parents are Cantonese speakers, he is looking for a Hong Kong or Macau lady who speaks both Cantonese and English. Ideally, she loves children and is flexible to live in both the US and Hong Kong. He is planning to relocate to Hong Kong if he found Ms Right here. He has no problem in making job application in Hong Kong as there are resident doctor job vacancies at the Hospital Authority. He is looking for a long term companion and wants to have children. Hobbies include tennis, badminton, table tennis, bowling, jogging, hiking, dancing, swimming, travelling, cooking, etc. If you suit these requirements, please CLICK http://bit.ly/2luR09z to register with us today! Seeking a trustworthy, calm, reasonably pretty, well educated and independent single Chinese lady, under 30 years old, between 5 ft 3 inches to 5 ft 6 inches, with overseas exposure preferable. Our client was born in Hong Kong who obtained PhD and Master’s Degree in Medicine . He is never married and was a recipient of a full scholarship to study PhD at a Top-ranked UK university. He is looking for a life companion as he’s ready to settle down and start a family. As a 2nd generation of entrepreneur in family electronic mfg businesses, he returns to his family business and took over the operation this year. Hobbies and interests include swimming, reading, hiking, table tennis, travelling, watching movies, etc. Seeking a cultured, optimistic, kind-hearted and honest single or divorced Chinese lady without children, between mid-20’s to late 30’s, 5 ft 4 inches or above. Our client was born in Hong Kong and immigrated to Canada when he was 14 years old. He is a professional who is running his own consulting firm and also managing family pharma businesses in Asia. Currently, he is sitting on the boards of a number of associations both in China and Asia. He is divorced with one child but lives separately. He is looking for a long term companion and wants to have children. Hobbies and interests include playing basket, soccer, ice hockey, listening to music, chinese calligraphy, cooking, travelling, watching movies, playing piano, etc. Starting his early flying career in the US, he soon determined that he would be best suited to the aviation industry. He made his way up to chief pilot on long and short haul routes, and this year he was promoted to the position of Pilot Instructor Captain. Currently, he is based in Hong Kong and is ready for settle down as his working hours are more stable now. He believes every day is different and eventually the unusual becomes the norm. He enjoys the variety that the job provides and the people with whom he works. He is interested in meeting a warm, intelligent and educated lady with a good sense of humour. His hobbies are cooking and sailing. If you are looking for a lifelong partner, and you are interested in seeing if this exceptional and affectionate gentleman is for you, please register today at http://bit.ly/2luR09z for a personal interview. Seeking a lively, charming and independent single or divorced Chinese lady, between 30+ to early 40’s, between 5 ft 3 inches to 5 ft 7 inches. Our client is divorced with one child but lives separately and has operated his jewellery business for over 20 years. He looks fit, calm and handsome, speaks Cantonese, English, Putonghua and Japanese. Hobbies include golfing and workout, motorsports, travelling, bowling, jogging and singing karaoke. He is seeking someone who enjoys life together and make some magic happen. Seeking a gentle and cultured single Chinese lady in her thirties, 5 ft 3 inches or above. Our client was born in HK who has spent 4 years in UK for study. He obtained his MSc and BSc degrees from Top UK University. He is a well educated, intelligent and disciplined gentleman and never married. He is a Christian (but non-Christian ladies are also fine to him). He has a stable career and currently working as Head of Business Intelligence. He speaks fluent English, Cantonese and Mandarin. Hobbies include watching movies, swimming, cooking, tennis and hiking. He has a Dream– One day he will meet a very tall, good-natured Hong Kong Chinese Catholic lady between 28-33 years old, a local Top 3 university graduate, who’s optimistic, low maintenance, smart and intrigued by the fact that he is not only very tall, decent-looking and caring but a smart, hardworking professional (holds multiple professional and academic qualifications, such as Law, Engineering and Finance degrees) too. You and he build an instant rapport as you two discover you both love hiking, travel, cycling, jogging and gymnasium, yet are both down-to-earth, adore children and have hearts as big as all outdoors. Together you both live happily ever after. Respond for details. Dreams can come true. If you are that SPECIAL LADY, please email to soklose1@gmail.com for personal interview. We are seeking a charming, creative and cheerful single Chinese lady in her thirties, 5 ft 4 inch or above. Our client is an introspective, realistic, calm and overseas educated professional in his forties, and worked as a partner of a consulting firm. He is looking for a long term companion and wants to have children. Hobbies include : pop music, guitar playing, travelling, watching movies, hiking, gymnasium, etc. If you are that SPECIAL LADY, please register at http://bit.ly/2luR09z or send your personal details by whatsapp to 5408-2087 or 6960-0003 today!